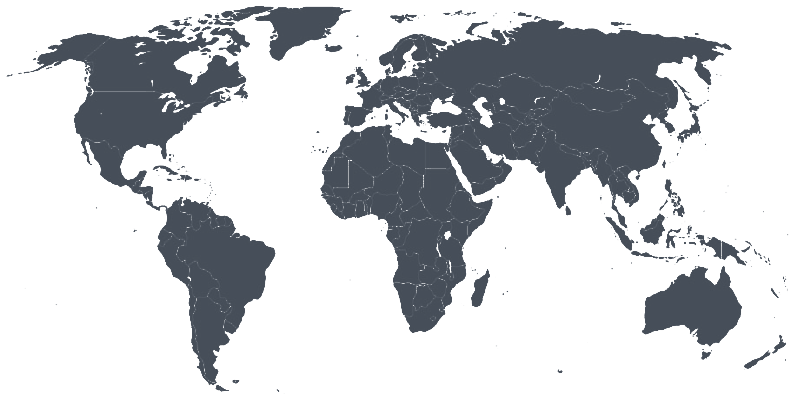 to view a list of partners located in that region. AdaptIT Holdings Limited provides a variety of specialized turnkey IT solutions and services to the Education, Mining & Manufacturing, Energy and Financial Services sectors. Adapt IT’s services and solutions span the complete IT life cycle from consulting and application design through to delivery and support. Adapt IT is an IBM premier partner and for over a decade they have been developing customized Business Intelligence Solutions through the integration of data into a decision making process to accelerate business performance. Synergy has established itself as a leading Business Analytics, Data Warehouse and Financial Performance Management solutions provider, serving more than 200 customers. At the heart of its business lies its ability to turn data into actionable information. Synergy understands that it’s easy to lose yourself in all the tools, multiple data sources, complex data structures, unreliable data, apathetic users, and unrealistic expectations. Synergy’s systematic, best practice methodology, will help you work through all these competing choices to be able to quickly and intuitively assess the state of your business, and to anticipate the best course of action for better outcomes. Linksoft Inc. specializes in management programs, analysis solutions, and providing customer consultancy. Linksoft understands the customer's needs and helps to deliver the most suitable solution from multidimensional evaluation to improve the user's workplace and increase the work efficiency. Cornerstone Performance Management is an IBM Premier Business Partner, providing management and systems consulting services to help customers analyse, visualise and manage business the way they’ve always wanted to. Cornerstone specializes in a holistic approach to project management of business performance management and business intelligence solutions – they believe that ROI is achieved when the project is managed well, users are appropriately trained and supported, and the information platform is configured for optimal performance. Cornerstone delivers a variety of performance management solutions involving strategic planning, budgeting, forecasting, multi-dimensional analysis, dashboards, scorecards, and all manner of other useful executive management tools. Mindfull is an independent consultancy specializing in Business Intelligence and Analytics. With nearly 20 years of experience successfully implementing solutions, Mindfull's highly skilled consultants can help you improve your business performance. To receive a free copy of MotioPI software, courtesy of Mindfull, click here. Capital Analytics is an IBM Premier Business Partner, that provides business analytics and performance management solutions that are crafted to your organization's specific needs. They have over 40 years of experience implementing solutions for budgeting & forecasting, strategic planning, multi-dimensional analysis, data warehousing, and dashboards. Capital Analytics converts data into an insightful resource that can be used to provide success for your organization. Aramar is an IBM Premier Partner with significant expertise around the office of finance. Aramar has delivered Performance Management projects across the whole range of IBM Cognos products and has considerable experience of product integration from both a technical and application viewpoint. To receive a free copy of MotioPI software, courtesy of Aramar, click here. Logicalis, an IBM Premier Business Partner, is a 100% Spanish consulting company founded in 2003, from the alliance of diverse specialists in consulting. Today, Logicalis is the leader in strategic solutions, Corporate Performance Management (CPM), and Information Management. Since 2007, Talan strategy is based on high-level skills and very adaptive customer services. As an IBM Premier Business Partner and Support Provider Reseller on the whole Business Intelligence Software Suite (Information Management and Business Analytics), Talan continually works on methods and tools to help customers unleash the full capabilities of their BI systems. Talan also delivers great business and project delivery knowledge, thanks to their experienced specialists. Assimil8 is a market leader in business analytics and IBM Smart Cloud Enterprise solutions, financial reporting, planning & forecasting, and data warehousing. Assimil8 utilises world-class IBM Cognos software as a basis for solutions. Following an ethos of client collaboration and empowerment, Assimil8 drives forward innovative, ground-breaking techniques such as Geo-spatial Business Analysis and IBM Smart Cloud Enterprise based systems and solutions. Assimil8 offers an extensive range of products, consulting methodologies, support, and training services which help clients find new sources of revenue, identify cost cutting opportunities, and improve financial visibility. To receive a free copy of MotioPI software, courtesy of Assimil8, click here. iRIX is a leading independent IT-service company. iRIX delivers tailor-made business solutions which always focus on the client's economic benefit. iRIX specializes in smart standard packages in the areas of energy solutions, business intelligence, and green solutions. They have a strong commitment to ethical principles and handle involved resources in a sustainable manner. E-mergo brings knowledge and experience from two worlds: Business Consultancy and Business Intelligence, enabling them to help their clients to effectively optimize their information systems. To receive a free copy of MotioPI software, courtesy of E-mergo, click here. Valantic is a leading provider of Business Analytics and Optimization solutions. Their portfolio includes technical and professional advice in the field of enterprise planning and business intelligence solutions. They also provide solutions in Predictive Analytics, Social Analytics, Big Data, and index-based control systems. The methods and solutions of Valantic were designed for a sustainable increase in the enterprise value of customers. Gems helps its customers attain a knowledge and learning-based philosophy with solutions that provide business insight to all internal and external processes. The management team and consultants of Gems help their customers reach their organizational goals, using efficiently managed information technologies. The Gems team has experience in varying business areas, including telecom, finance, pharmaceutical, and manufacturing. Sempre Analytics will help its customers to exploit their data and improve business performance. As an IBM Premier Partner, their data experts specialise in delivering solutions that provide simple, engaging, and intuitive solutions that simplify business processes and focus on solving business problems. With a range of solutions across Business Intelligence, Planning & Modelling, Predictive Analytics, Data, Audit & Management, and Support, Sempre Analytics offers its clients a completely unique approach to data collection and modelling, reporting, and collaboration. To receive a free copy of MotioPI software, courtesy of Sempre Analytics, click here. Brennvidd is a Business Analytics & Data Management consultant, offering solutions throughout every step of the BI life cycle. Working with IBM and its platform for business analytics and data management, Brennvidd is able to deliver solutions and optimizations not previously seen on the market. Since 2004, INFOMOTION GmbH has been one of Germany's leading consultancies for BI solutions. Their extensive portfolio features services such as strategic BI consulting, design, implementation, operation of effective BI solutions, and staff training. To provide customers with user-oriented, one-stop solutions, INFOMOTION offers BI services in fields like standard and ad-hoc reporting, analyses, performance management, and enterprise data management. To receive a free copy of MotioPI software, courtesy of INFOMOTION, click here. Quanam is a multinational business IT Company with offices in Uruguay, Mexico, Chile, Colombia, Peru, Brazil, Puerto Rico, and Miami. In order to meet the needs of the information technology market, Quanam employs and integrates consultants of different practices in various operation sites with the local project teams through a methodological framework specifically adapted for these effects. Procalidad supports Performance Management by offering Business Intelligence Financial Planning, and Balanced Scorecard solutions. Procalidad has years of experience in advising organizations and identifying opportunities to improve performance. It contributes to the advancement and competitiveness of its clients, providing valuable solutions to make better decisions, so that they can respond effectively to business questions. At Ironside dives deep into clients’ core business challenges, emerging with new insights into how they can leverage the power of business analytics to help move companies further and faster toward their goals. Ironside’s expertise in business intelligence, performance management, predictive analytics, information management, big data, and more only becomes meaningful when brought into careful alignment with where a business stands today and where it means to be tomorrow. Their goal is to use the power of business analytics to propel businesses forward and upward, until they break through to a new way of looking at their industry, the world, and their place in both. PMsquare has extensive experience in Performance Management solutions and has certified experts in IBM Cognos Software. Their IBM Cognos solutions work in all stages of the BI life cycle, from scoping, design, implementation, training, and project management. They work in TM1, Cognos BI, Express, Planning, SPSS, and Apparo Fast Edit, giving them great range of your IBM Cognos investment. Grandview Solutions offers a wide range of consulting services and technical advice to nearly any type of businesses. Whether you’re a small, regional organization or a burgeoning multinational, they are ready to help you with forecasting solutions, presentation layers and seasoned advice on operating your processes. LPA is one of the largest IBM Cognos resellers in North America. LPA Systems has been working with clients for years to ensure they get the proper solution to solve their unique business challenges. LPA's philosophy is to take the time to listen to a client's challenges before recommending a technological solution, as not every client fits the same mold. eCapital Advisors LLC is a management consulting firm, specializing in Business Analytics solutions across the U.S. They provide software and services designed to empower the business user with real-time reporting, modeling, forecasting, consolidations, and analytics. As a result, these tools provide real-time views of performance that facilitate decision-making to improve efficiency and increase profitability. eCapital consultants quickly access, design, and implement business analytics and performance management solutions. Quaterne empowers its customers by facilitating the discovery, capture, analysis, and use of data to make timely, actionable business decisions resulting in enhanced organizational value. Quaterne has deep expertise and skills in the following areas: Finance/Budgeting/Planning, Cloud/infrastructure implementations, security, enterprise data warehousing, data integration, performance management (TM1), business intelligence (BI), and advanced analytics. Quaterne seeks to leverage these skills to build long-lasting partner and customer relationships which result in expert adviser status with their customers. Perficient is a leading technology and management consulting firm serving clients throughout the United States. As experts in designing, building, and delivering business-driven technology solutions, they help clients gain a competitive advantage. Perficient utilizes Internet-based technologies to ensure that their business is optimally responsive to the needs of their clients. Its small, expert project teams deliver high-value, measurable results by working with clients through a user-centered, technology-based and business-driven solutions methodology. Perficient believes that this approach enhances return-on-investment for its clients by reducing the time and risk associated with designing and implementing business and technology solutions. To receive a free copy of MotioPI software, courtesy of Perficient, click here. Senturus is a business systems and software consulting firm specializing in the delivery of Corporate Performance Management solutions. Their objective is to help clients achieve more efficient and effective operations by providing executive decision-makers with automated, real-time visibility into the key performance indicators most pertinent to their business. The Senturus team possesses technical expertise, strategic vision and senior management experience. Prologic Ltd. provides advanced IT services, specializing in infrastructure solutions, application development, and database-oriented solutions. As experts in IT infrastructure, Prologic’s Professional Services Division offers fully integrated solutions, including consulting, projects, training, implementation, and outsourcing. The company’s long term experience is backed by a deep understanding of market needs and by acknowledging both local and international IT communities. Motio is an IBM Business Partner, and IBM is also a customer of Motio! Motio is a reseller of IBM's portfolio of Business Analytics software, which provides organizations the tools needed to gain insights, implement crucial decision-making, and achieve competitive differentiation. The IBM BACC chose MotioCI as the solution for streamlining the daily Cognos administrative tasks. Some key results of introducing MotioCI include reduced Cognos administration and support costs, improved development processes from enabling Agile BI methods, and $155,000 recovered of initial investment within one year. To learn more about the IBM BACC’s use of MotioCI, read our case study. Motio is a Qlik partner. Companies of all sizes, across all industries and geographies, use Qlik solutions to visualize and explore information, generate insight and make better decisions. Qlik optimizes Business Intelligence (BI) by harnessing the collective intelligence of people across an organization. Qlik enables everyone in an organization to see the whole story that lives within their data. Tableau is a Motio partner. Tableau Software helps people see and understand data. Offering a revolutionary new approach to business intelligence, Tableau allows you to quickly connect, visualize, and share data with a seamless experience from the PC to the iPad. Create and publish dashboards and share them with colleagues, partners, or customers—no programming skills required. Data41 is a performance management technology firm driven to create meaningful, measurable, and sustainable improvement to business. By combining expertise in technology and business acumen, we provide clients the knowledge and tools needed to align company goals with management action across all areas of operations. We strategically determine the most effective way to utilize technology and resources to sustainably impact outcomes. We know what it takes to drive meaningful, measurable, and sustainable improvement to business – the right combination of understanding, experience, and expertise. That’s why we’ve created a team of seasoned professionals who know how to provide strategic direction and deep technical expertise – from start to finish, time after time. We have experienced first-hand the consistent delivery of results, enabling companies to maximize return on investment, speed up implementation, and enhance their internal intelligence. DataClarity Corporation delivers solutions that empower people to make decisions that maximize performance -- specializing in transforming corporate data into actionable information through proven performance management consulting, Cognos training services, and technologies. The blending of business knowledge, technical skills, industry experience, and consulting expertise translates into more value and less risk for clients. PerformanceG2 is a full-service corporate performance management consultancy that can help any organization achieve breakthrough performance using advanced BI tools. The company does this by offering a comprehensive package of performance management solutions, delivered by their team of experienced consultants and award-winning trainers. To receive a free copy of MotioPI software, courtesy of PerformanceG2, click here. EKS&H is a premier IBM Cognos business partner. The Business Analytics consulting group at EKS&H provides full-service expertise in all areas of business analytics including business intelligence, performance management, data integration, predictive analytics, and technical support and training. The EKS&H focus on understanding and delivering on customer needs is their specialty. The founders of Convergence Consulting Group have a passion for helping clients solve operational and strategic challenges. They believe that business intelligence is an opportunity to affect real and lasting cultural change across an organization. With a full understanding of an organization’s IT department, CCG is able to provide solutions that achieve immediate and tangible results. In addition, CCG has built a strong reputation for bringing together C-levels, key stakeholders, and power users for the common goal of greater visibility and decision making. Xforty Technologies is a systems integrator providing a complete suite of business solutions including Content Management, Customer Relationship Management, Enterprise Resource Planning, and Sales Force Automation. Arcogent is built on a simple concept – Enablement, a premise that brings together collaboration, expertise and technology into a cohesive success-oriented approach. Arcogent offers professional services and software to deliver the information and insights required to execute on your company’s Performance Management (PM) vision. A disciplined approach combined with expertise in Business Intelligence (BI), Dashboards, and the Office of Finance deliver the results our customers expect. Lodestar Solutions is a woman owned business which helps clients realize the benefits of Business Analytics, including planning, measuring & monitoring, and reporting & analysis. Lodestar’s mission is to guide clients while training them to become self sufficient. Lodestar Solutions is dedicated to providing superior service, best practices and knowledge to its clients by leveraging their real world business experience to make your Business Analytic implementation successful. Lighthouse (CCI) leverages technology to enable its customers to better understand their business’s past, present, and future. By utilizing Cognos tools, CCI creates dashboards and scorecards for their customers. This helps them monitor and manage the critical business indicators, which ultimately impact the health and performance of the organization. This enables managers and executives to monitor their performance, compare it to past times, and leverage analytics that can also project future performance. FYI Solutions, founded in 1984, is a certified Woman Business Enterprise (WBENC) firm that specializes in advanced business analytics solutions. They align themselves to support their clients' short and long term business strategies. As an IBM Premier Business Partner, FYI Solutions’ partnership with Motio enables us to offer extraordinary value to clients through innovative, value-added solutions leveraging the Motio suite of products that complement and enhance IBM Cognos advanced analytics platforms. FYI Solutions produces a justifiable return on investment by way of effort and cost savings. To receive a free copy of MotioPI software, courtesy of FYI Solutions, click here. Aviana Global Technologies is a Business Intelligence and performance analytics company that has significant experience in the analytics and design data warehouses. Their approach to BI encompasses the people, processes, data, and technology of clients. By linking performance measures with business strategy, they work to implement processes while delivering role-based intelligence to the executives, managers, and staff. To receive a free copy of MotioPI software, courtesy of Aviana, click here. Cresco helps customers seize the business opportunities that they encounter every day. Together, they can build the business analytics, performance management, and cloud capabilities that take customers to the next level. Cresco’s knowledge of technical skills, industry expertise, and global reach ensures that they build a partnership with their customer that will stand the test of time. To receive a free copy of MotioPI software, courtesy of Cresco, clickhere. Attain Insight is a Reseller and Service Provider of IBM Cognos Software. Attain Insight focuses exclusively on Business Intelligence, Business Performance Management, and Location Intelligence solutions. The company specializes in fixed-price projects led by industry professionals who understand business objectives. FunAnalytics’ goal is to make analytics both smart & fun. Our key areas of focus are Advisory Services, Business Analytics, and Managed Services for our customers. We help our clients realize their value proposition by turning data into insights. We are uniquely qualified to develop strategic roadmaps and making the overall product better by coming up with custom solutions/accelerators. KCM's team of expert consultants can help turn Sales, Marketing, and Finance related data into focused, insightful, and actionable information that can lead to better decisions, performance and outcomes. By focusing on the Key Performance Indicators (KPI) that matter most, organizations become better aligned, aware, agile and take a proactive approach to decision making. KCM has worked with many leading companies to increase sales, marketing, and financial effectiveness across the organization. With a comprehensive range of services, Draca Solutions can guarantee your technology investment needs are not just met, but exceeded. We work closely with our clients to ensure they purchase the right software, at the best price, and select an optimal implementation partner. Draca remains engaged through the life of your system to manage and your software maintenance and additional software requirements are procured at the best rate possible. Softlyze is a full spectrum Enterprise Software Reseller across multiple platforms and supports resales for large enterprises and micro-tech firms. Their objective is to provide optimal pricing and act as a broker and client intermediary surrounding the entire technology acquisition life-cycle. Softlyze is committed to finding the right solutions for their clients, providing most-favored costing, and facilitating purchase execution. KMG, an IBM Premier Business Partner, specializes in the implementation of Corporate Performance Management. KMG has extended experience in Cognos Business Intelligence, Cognos Planning, and TM1. They offer consulting, development, training, and support services. Their ISO 9001 certification proves their dedication to quality, which allows them to manage an impressive client portfolio consisting of top multinational companies. Focus Business Solutions is lead by professionals with a strong orientation to business and extensive experience in the market of information technologies. Focus specializes in business management solutions, covering the full spectrum of Enterprise Integration, Business Intelligence, and Information Management. DWConsulware specializes in the implementation of projects that measure business performance and general information analysis, including projects or budgets and financial planning. The company has been a leader in corporate performance management solutions since 1998. Grupo LPJ provides services in IT Consulting, which includes IBM Business Intelligence. Grupo LPJ focuses on process management, technology, business, and education, and consists of certified and highly experienced consultants. By using qualified information and proper tools, Grupo LPJ is committed to offering optimal solutions for each client.